Caring, empathetic volunteers are needed to facilitate groups in our Rainbows program. Rainbows is a 12-week program for kids (K-12th grade) who have suffered a loss in their family due to death or divorce. Volunteers lead participants through a curriculum that help them understand and express their feelings and direct their energy toward a healthy acceptance of the changes that have taken place. Training is provided. Facilitators need to be available from 6:00-8:00 pm on select Tuesdays from the end of October through the beginning of April. 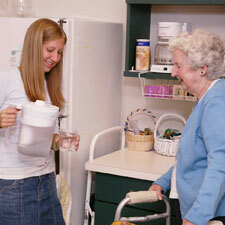 By assisting a local senior citizen with miscellaneous tasks (mowing, raking, pruning, removing snow, etc. ), you can help them remain living in their own home. Work can be done at volunteer’s convenience. 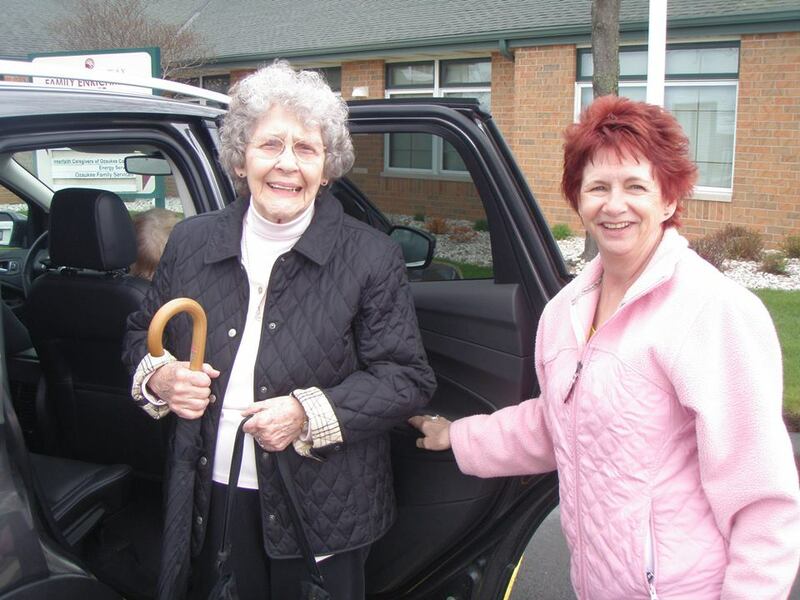 You can make a big impact in the life of a local senior by providing an occasional ride to medical appointments, the grocery store, the pharmacy, etc. Your help will allow them to continue to live in their own home. Let us know what day(s) and times might work for you to volunteer and we will contact you as specific needs arise. At that time, you decide whether or not you can help with that particular need. Very flexible. Several area senior citizens are looking for volunteers to take them grocery shopping – either every week or every other week. Provide a ride to and from the grocery store (some of them need a little assistance at the store as well). We can match you with a senior that lives in your community. Help once a week or once a month – whatever works for you. Put your organization and event planning experience to good use and join our Auxiliary. This group plans and organizes two major fundraisers each year. Meetings are held once a month in the morning. Be prepared to have fun! Play with and supervise children while their parents attend one of our workshops. Volunteers needed for a variety of weekday mornings and evenings in the Spring and Fall. By assisting a local senior with misc. projects, you will be allowing him or her to continue to live in their own home. We’ll contact you as projects arise. Some of these might include: minor fix-it jobs, changing a hard to reach light bulb, cleaning gutters, etc. This is a great opportunity even if you work full time. Projects can be done when it is convenient for you and the time commitment is minimal. Some of our volunteer opportunities are great for high school students looking to make a difference. Not sure how you want to get involved? We can help you find the right match for your interests and time availability. For more information, please contact our Volunteer Coordinator by phone or by email.